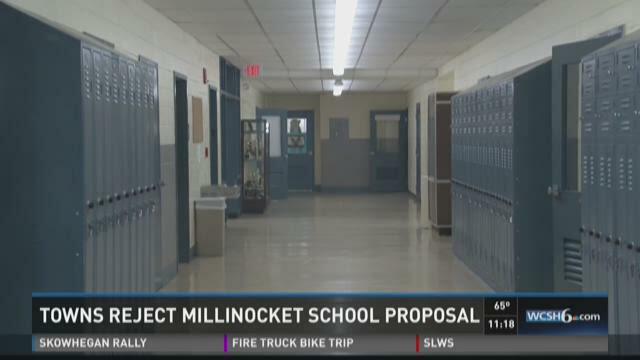 In response to the latest letter, the Superintendent of Millinocket Schools, Frank Boynton, said that he understands why the other schools don't want to join into an agreement but because of the budget situation, he believes it is a necessary option. In response to this letter, East Millinocket and Woodville superintendent along with the Medway superintendent issued a statement rejecting the offer. They said that because Superintendent Boynton sent the letter to elected officials without notifying them first, violated an ethical protocol. This issue also hits close to home for many local residents and is a very divisive issue. Because of that, residents whom NEWS CENTER spoke with declined to go on camera. NEWS CENTER also reached out to all three superintendents and have not heard back.